Now, we are pleased to present one of the essays selected for honorable mention, from Jahara Matisek of Northwestern University and Ian Bertram of the U.S. Air Command and Staff College. Adversaries have studied the American way of conflict and have developed, and will continue to develop, capabilities to mitigate or directly challenge longstanding U.S. military dominance in all war fighting domains…Competitor states will employ all diplomatic, economic, political, and covert mechanisms of influence and coercion available to them in advancing regional agendas, with the implied or actual use of military force acting as the amplifier that allows these whole-of-state efforts to resonate. 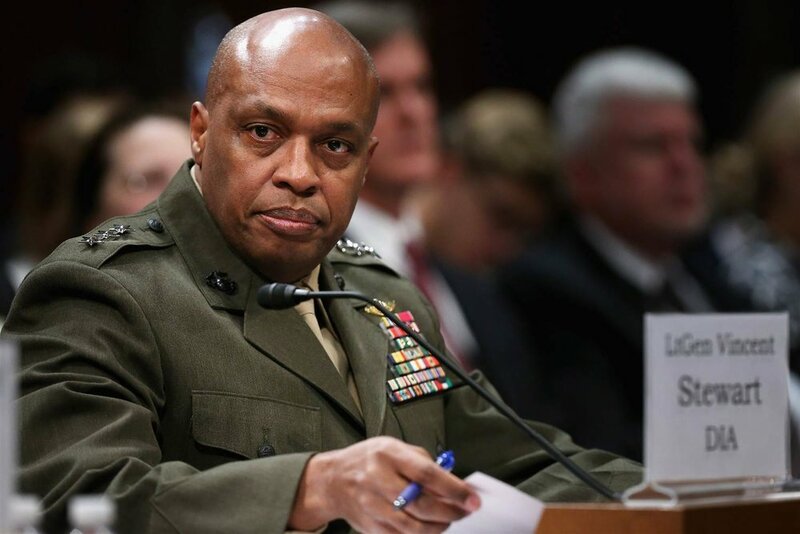 General Stewart’s explicit omission of the military from the mechanisms available to influence and coerce in pursuit of regional agendas is illustrative of the fact that foes no longer use military power first. Instead, adversaries utilize military force merely as an amplifier to whole-of-state efforts. Translated into laymans terms, adversaries no longer rely on conventional military force—solely, firstly, or bluntly—to pursue narrow political objectives in their region of influence. Thus, no near-peer country is openly challenging America’s globally constructed world order of norms, rules, and institutions created through decades of American blood, sweat, and tears. Such adversaries are operating in a peripheral and indirect fashion, however, to secure limited gains helpful to their own interests. These efforts chip away at American strategic interests in such a way that it is difficult for political and military leaders to justify the mobilization of American political willpower and military resources to prevent and/or reverse adversary gains. Indeed, U.S. strategy is caught in a paradoxical situation in which the conventional warfare concept is needed for overall deterrence, but is dead because no adversary wants to engage directly with conventional American military might. Additionally, the precept of what the U.S. and its allies believe is conventional warfare is an illusion. As a theoretical construct, conventional warfare is historically dependent on time and context, as Clausewitz stated, and determines how major political powers profess to the best and most effective forms of waging war. The traditional narrative within this social construct of warfare was one of territorial wars based on maneuver, a form at which the U.S. has excelled and dominated. No country dares to use its military forces in such an explicit fashion against the U.S. anymore. From this standpoint, it should be no surprise that potential foes are seeking to disrupt America’s hegemonic position—or at least the perception of hegemony—by circumventing America’s military strength altogether through indirect non-military actions. Such actions look to shape narratives and perceptions, making it difficult for the U.S. to adequately respond. As a theoretical construct, conventional warfare is historically dependent on time and context, as Clausewitz iterated, and determines how major political powers profess to the best and most effective forms of waging war. Moreover, the U.S. and its allies face the problem of how to conceptualize 21st century war, because most adversaries engage in fringe activities to weaken American influence and power and undermine U.S.-built narratives. This effectively neuters the perception of U.S. military power, rendering it practically irrelevant in stopping the attainment of political objectives by Russia, China, and others. It is almost as if Edward Luttwak’s paradoxes of strategy are showing empirically now as America’s greatest strength—conventional military dominance in the ground, sea, and air domains—is evaded by hostile state and non-state actors, making the U.S. look like a lumbering giant that lacks the nimbleness, energy, or long-term willingness to deal with insurgents, terrorists, and gray-zone conflicts initiated by near-peer states. Perceptions on the lack of American willpower to deploy its military are not just a contemporary problem. 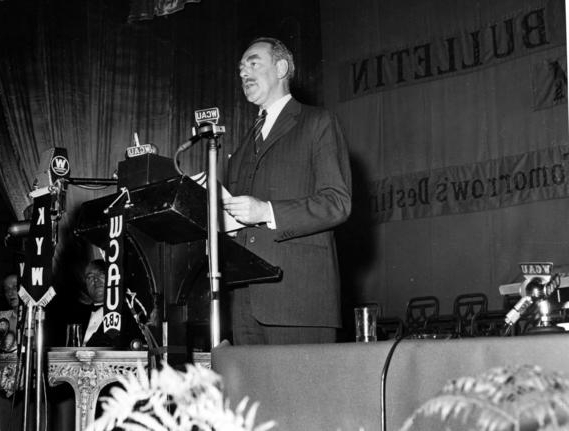 In 1950, U.S. Secretary of State Dean Acheson gave the infamous Perimeter Speech, in which he mentioned the defense of the Pacific without mentioning Korea. Six months later, North Korea invaded the South, and within two months the South Korean Army and government were on the precipice of defeat when the U.S. intervened along with a large United Nations military force. The overwhelming U.S.-led intervention eventually reestablished the 38th parallel political border between the two states. Conventional battles like the Korean War, and others like them, go against the wisdom of Geoffrey Blainey’s assertion that “wars usually begin when two nations disagree on their relative strength, and wars usually cease when the fighting nations agree on their relative strength.” Since the end of the Cold War, there has been almost no direct contestation of American conventional military might other than Saddam Hussein’s actions throughout the 1990s. Still, the Butcher of Baghdad did not miscalculate the strength of the American military; rather, he misjudged American political willpower. In 1990, Hussein had come to believe the George H.W. Bush administration would tolerate his invasion of Kuwait. This was based on a meeting with the American ambassador to Iraq, April C. Glaspie, where she stated, “We have no opinion on the Arab-Arab conflicts, like your border disagreement with Kuwait.” Shortly thereafter, Hussein’s army invaded Kuwait, plundering its main cities. Within a year, however, Hussein’s forces were ousted from Kuwait, and routed in a U.S.-led ground campaign lasting a mere 100 hours. The overwhelming American military response occurred because Bush believed that tolerating Hussein’s actions would turn him into a modern-day Neville Chamberlain appeasing a latter-day Hitler at new Munich Conference. In 2003, Hussein thought the U.S. would not follow through with martial threats not because of his belief in his own military strength, but because he believed the George W. Bush administration lacked political strength. Hussein believed the Bush administration would “not fight a ground war because it would be too costly to the Americans.” This time, the Bush administration viewed the Iraqi state as a terrorist state with intent to disseminate and use weapons of mass destruction, which radically changed U.S. political calculus. Within three weeks of ground combat, the Iraqi government and military collapsed, and major combat operations ended four weeks later. Thus, confronting American military power is not based on perceptions of relative strength, but rather on (mis)calculations of U.S. political resolve to fight. ...confronting American military power is not based on perceptions of relative strength, but rather on (mis)calculations of U.S. political resolve to fight. Even the Taliban believed it could decisively engage NATO/ISAF forces in a conventional battle for the purposes of undermining Western credibility and political resolve. During Operation Medusa in September 2006, the Taliban launched a conventional attack against NATO/ISAF troops in the Panjwai district, which was “akin to the Vietcong’s Tet Offensive of 1968…the Taliban force effectively tried to hold ground.” While the Taliban eventually lost, it was“a phony victory for NATO/ISAF, as the Taliban changed their strategy and tactics to those of a classical Maoist insurgency. The Taliban problem continues to flummox American strategists and persists because of the Taliban’s appraisal, including local Afghan perceptions, of American resolve (or lack thereof). Fundamentally, the Taliban understand time horizons; they know they can out-wait American political willpower in the long-term while avoiding U.S. military firepower in the short-term. In each example, adversaries made a political miscalculation about a conventional military engagement with U.S. armed forces (and allies) and were easily routed. The only difference with the Taliban is they have figured out how to circumvent American attempts to project power beyond major cities, because they understand U.S. policy will dither over size of assistance and time frames. Thus, they can coerce local communities outside the major cities into supporting them, because Kabul cannot project state capacity there and significant doubt exists about long-term Western security pledges. The Taliban understand there will never be an Afghan Marshall Plan, because no American politician (or Western leader) has the willpower to make such a commitment. Such American strategic dithering allows the Taliban to make side-deals with wavering warlords and vacillating tribal chiefs, since the American commitment to the country is merely a myopic attempt to not lose, and an at-best half-hearted attempt to defeat the Taliban. Worse yet, attempts to rely on drone strikes in the long-term to contain the Taliban do not cure the underlying causes and structural conditions that permit the insurgency to thrive. Nonetheless, conventional warfare has become a lifeless entity through three processes. First, as identified by Martin van Creveld, nuclear weapons have resulted in decreases in the scale and scope of conventional military force being used abroad. This has been a product of dyadic nuclear-armed states trying to limit escalation. This strategic logic of many nuclear armed states has driven them to limit the intensity of wars, while pursuing alternative forms of war, such as the use of proxy armies, contractors, drones, etc. This strategic logic of many nuclear armed states has driven them to limit the intensity of wars, while pursuing alternative forms of war, such as the use of proxy armies, contractors, drones, etc. Second, as the Soviet Union collapsed economically under its own administrative and military burdens, the U.S. emerged victoriously from the Cold War as the sole hyper-hegemonic military force and economic power in human history. This dominant position makes it a fruitless endeavor for near-peer states to compete through build-up of conventional weapons, as the American military budget is equal to the combined military budgets of the next largest eight states combined. What is the point of trying to build an expensive conventional military force when a competitor-state can invest in cyber, space, and A2/AD (anti-access/area denial) weapon systems to produce a strong strategic effect on the cheap? It should be no surprise that Russia, China, North Korea, and Iran have pursued such non-conventional military capabilities to permit freedom of strategic maneuver in their regions, creating the perception of a higher-cost to a possible U.S. military intervention. Finally, there is an the increasing perception that domestic American audiences do not want to deploy their military, created by the aversion to boots on the ground rooted in the disaster of the Vietnam War. However true this might seem, in terms of political elite perceptions, a cursory analysis of presidential foreign policy performance since 1990 gives the impression that positive and negative outcomes in the use of military force do not result in electoral punishment or gains. The empirical proof is in the pudding. 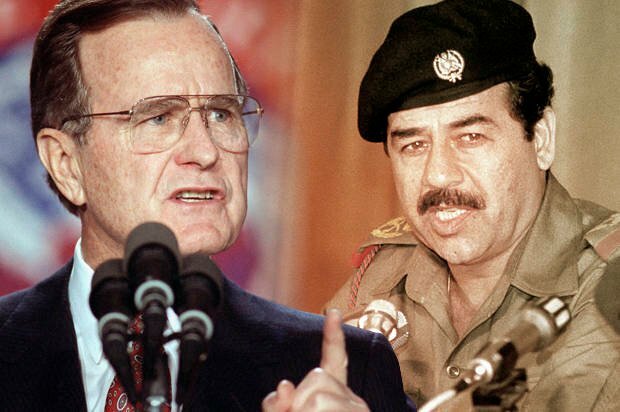 Successful uses of American military power during the Persian Gulf war did not lead to the reelection of President George H. W. Bush. This occurred despite an 89 percent approval in a Gallup poll just weeks after the war ended. Contrarily, the overly publicized Black Hawk Down mission conducted under President Clinton, in which 18 U.S. service members were killed, caused a 13-point drop in his approval ratings but did not hamper his reelection campaign in 1996. Nor was he punished for keeping American troops out of Rwanda during the genocide there. Clinton’s successful use of airpower in the Balkans did not help the Democratic Party or his vice president win the presidency in 2000, despite an approval rating that hovered around 60% after Operation Allied Force. Likewise, the apparent chaos in Iraq and Afghanistan did not prevent President George W. Bush from winning a second term in 2004. In 2008, Obama’s election over the Republican candidate, John McCain, was based more on economic concerns, even though polls consistently showed Americans trusting McCain more with national security. Other issues regarding the civil wars raging in Afghanistan and Libya in 2012 did not stop President Obama from smoothly sailing through the presidential election process. Presidential candidate Trump’s campaign rhetoric of increasing the ability of the American military to fight the Islamic State hardly aided his election. A poll conducted by Fox News several weeks prior to the 2016 presidential elections indicated that potential voters viewed Hillary Clinton as the more trusted candidate on issues such as terrorism and national security. What does this all mean? American presidents should not refrain from the proper application of military force just because they believe it could jeopardize reelection chances for themselves or their party. Hence, American military commitments should not center on efficiency or political expediency; instead they should be made through long-term commitments that prevent adversaries from pursuing strategies undermining American political resolve and/or outwaiting U.S. assurances. When presidential administrations worry about domestic perceptions concerning long-term military and political commitments to a fledgling nation, this creates a strategic dithering scenario in which adversaries increase their own commitments in hopes of making American involvement look costlier. The debatable failures of COIN, and the growing adversarial actions by Russia, China, and North Korea, seem to imply conventional warfare is the type of strategy needed to deter or confront those threats. But that hypothesis is wrong. Conventional war as described above is nothing more than a Weekend at Bernie’s solution to those problem sets. We are propping up a dead concept, and our foes do not respect the façade. In fact, each of these states are already employing strategies to negate any applicability of our conventional war concept, and have carefully crafted parochial strategies that make it difficult—domestically and internationally—for American political and military leaders to commit a credible amount of force to repel such activities. For example, Russian General Valery Gerasimov described a new approach to warfare in a 2013 article in Military-Industrial Courier. In it, Gerasimov argued for a new Russian strategy where his country could employ various resources so that “a perfectly thriving state can, in a matter of months and even days, be transformed into an arena of fierce armed conflict, become a victim of foreign intervention, and sink into a web of chaos, humanitarian catastrophe, and civil war.” This new form of warfare was basically the strategic blueprint for the crisis in the Ukraine where little green men infiltrated Crimea and Donbas. The ability of the Russia government and military to act as an information juggernaut in unison has effectively allowed Russia to sway neighboring populations to its cause (e.g., Crimea, South Ossetia, etc.) before Russian troops or little green men even arrive. Such operations soften the battlefield and prevent the international community from effectively responding with the correct instruments of national power, complicating an effective conventional military response. A common refrain since the 18th century is that “God always favors the big battalions.” But what happens when the size and strength of your military no longer matters relative to the way a military organization perceives and strategizes for war. It has been theorized by Hans Morgenthau that the rise of great powers (e.g., the United Kingdom and the U.S.) was a function of advantageous geography. Such geography enabled natural defenses, while providing adequate natural resources to sustain population and economic growth, both vital components in creating military power. However, geography and the size of one's military matter less now that technology enables greater capacity and reach with weapon systems. At the same time, technology allows adversaries to engage in information warfare and cyber attacks as a way of weakening and degrading American institutions and national interests without fearing a kinetic response from the U.S. military. ...technology allows adversaries to engage in information warfare and cyber-attacks as a way of weakening and degrading American institutions and national interests without fearing a kinetic response from the U.S. military. It is essential to recognize this change in warfare. American strategy can no longer be based solely on its conventional military might. Instead, strategy must embrace tactics and equipment that deters enemy attempts to circumvent U.S. military power, while at the same time upholding a strong conventional deterrent. This necessitates the creation of American political willpower; otherwise strategic dithering makes adversaries more likely to redouble their efforts. Here we again have the unfortunate paradox. The U.S. cannot simply rely on conventional strength as it has in the past, but it must retain the capability. The U.S. still needs to prepare, train, and equip for conventional combat operations, lest the concept put forth an ill-begotten progeny that goes to war Jomini-style because the U.S. is not prepared. If America completely abandons its arguable supremacy in that style of warfare, it will open the door for someone else to use it, but political and military leaders also need to make it obvious the U.S. has the political capital to mobilize resources in the long-term for another kind of war. Overseas contingency operations focused on fighting non-state actors seems to be par for course for American military operations for the foreseeable future. While General H. R. McMaster did write “clear thinking about war costs nothing. What we can afford least is to define the problem of future war as we would like it to be, and by doing so introduce into our defense vulnerabilities based on self-delusion,” there does need to be an understanding that the American military budget—in relative terms of being substantially larger than near-peer states—is unsustainable in the long term. The U.S. must prepare for multiple styles of warfare, but with a balanced approach that requires long-term American political commitments to make military strategies credible and effective. We cannot abandon conventional warfare any more than we can continue to completely embrace it. Additionally, it is necessary to understand that political willpower and military firepower must work in unison. Upon returning from a failed trip to China to negotiate a settlement between the Communists and Nationalists, U.S. Secretary of State George C. Marshall lamented in 1947, “We are in the middle of a world revolution—and I don’t mean communism…The revolution I’m talking about is that of the little people all over the world. They’re beginning to learn what there is in life, and to learn what they are missing." Consider for a moment that a superpower could not negotiate a settlement in one of the poorest countries in the world in 1947, despite the U.S. having the largest economy in the world, possessing nuclear weapons, and fielding one of the world's strongest militaries. Who are we to think the Chinese, or any other non-compliant country, will do our bidding if we do not at least give the perception of political willpower and commitment to properly employ military force, and other instruments of national power in a credible and strategic fashion? The fact that former President Obama could diplomatically negotiate a deal with Chinese President Xi to drastically reduce cyber espionage between their two countries provides an alternative blueprint to de-escalating future conflicts with other countries, to include China. This is especially important when we consider that China is slated to overtake the American economy by 2030. If we accept the proposition that GDP ultimately decides the military strength of a country, then the U.S. will need to conceptualize new forms of American military power that rely less on the economic strength of society, and instead utilize institutions, human capital, and doctrine, to keep the American military formidable in the long-term. Conventional warfare is not the answer to contemporary and future conflicts. While the ability to wage such warfare remains essential to world stability, if the United States wants to win wars, it needs to truly adapt to the new world and find non-conventional methods to wage war and muster the necessary political strength to deter future contenders. This will allow the U.S.to fight unfairly (because everyone hates fair fights), and allows the U.S. to once again understand and out think its adversaries. Time and economics are no longer on America’s side; U.S. strategy needs alternative forms of power to deter and repel future adversaries. Continued strategic dithering on threats to American national security and worldwide interests only emboldens foes to fight harder or outwait the U.S. American strategy, ad strategy that only works or matters if U.S. politicians and military leaders wholeheartedly make long-term commitments obvious and credible. Jahara “FRANKY” Matisek is an officer in the U.S. Air Force and PhD student at Northwestern University. He has served as an instructor pilot on the T-6 and C-17, flying over 200 combat missions in Iraq and Afghanistan. Ian Bertram is an officer in the U.S. Air Force with operational experience in nuclear defense and as an air advisor deployed to Afghanistan. He graduated from the United States Air Force Academy with a B.S. in History and holds an M.A. in Military History from Norwich University. The views expressed are the authors’ alone and do not reflect the official policy or position of the U.S. Air Force, the Department of Defense, or the U.S. Government. Carl Von Clausewitz, On War, trans. Michael Howard and Peter Paret, (Princeton, NJ: Princeton University Press, 1989), 78-80. Geoffrey Blainey, Causes of War, (New York: The Free Press, 1988), 293. Jean Edward Smith, George Bush's War (London: Macmillan, 1992), 6-8. David Bruce MacDonald, Dirk Nabers, and Robert G. Patman, The Bush leadership, the power of ideas, and the war on terror (New York: Routledge, 2012), 124-127. Sten Rynning, NATO in Afghanistan: The Liberal Disconnect (Palo Alto, CA: Stanford University Press, 2012), 113. Hassan Abbas, The Taliban Revival: Violence and Extremism on the Pakistan-Afghanistan Frontier (New Haven, CT: Yale University Press, 2014). A. B. O'Connell, (Ed.) Our Latest Longest War: Losing Hearts and Minds in Afghanistan (Chicago: University of Chicago Press, 2017). John Mearsheimer, Conventional deterrence (Ithaca, NY: Cornell University Press, 2017); Barry R. Posen, Inadvertent Escalation: Conventional War and Nuclear Risks (Ithaca, NY: Cornell University Press, 2013). Michael McClintock, Instruments of Statecraft: US guerrilla warfare, counterinsurgency, and counter-terrorism, 1940-1990 (New York: Pantheon Books, 1992). Martin Van Creveld, “Modern conventional warfare: An overview,” National Intelligence Council Workshop, 2004. Vipin Narang, “What does it take to deter? Regional power nuclear postures and international conflict,” Journal of Conflict Resolution 57, no. 3 (2013): 478-508. Helene Dieck and Richard J. Finneran, The Influence of Public Opinion on Post-Cold War US Military Interventions (New York: MacMillan, 2016). Вале́рий Васи́льевич Гера́симов (tr. Valery Vasilevich Gerasimov), “НОВЫЕ ВЫЗОВЫ ТРЕБУЮТ ПЕРЕОСМЫСЛЕНИЯ ФОРМ И СПОСОБОВ ВЕДЕНИЯ БОЕВЫХ ДЕЙСТВИЙ ОЕВЫХ ДЕЙСТВИЙ” (tr. “New Challenges Demand Rethinking Forms and Methods of Combat Action”), военно-промышленный курьер (tr. Military-Industrial Courier), February 27, 2013, http://vpk-news.ru/sites/default/files/pdf/VPK_08_476.pdf, p.2. Many attribute this phrase to Napoleon and Voltaire, however its origin has been traced back to Roger de Rabutin in 1677. For more discussion on this, see: Ralph Keyes, The quote verifier: Who said what, where, and when (New York: Macmillan, 2007,) 79. Hans Morgenthau, Politics Among Nations (New York: Knopf, 1960). George C. Marshall quoted in: Elizabeth Cobbs Hoffman, All You Need is Love: The Peace Corps and the Spirit of the 1960s (Cambridge: Harvard University Press, 1998), 79.